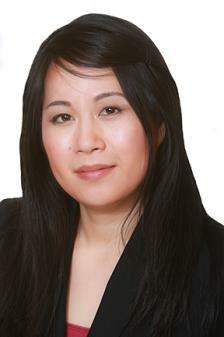 The Law Office of Laurie Y. Wu is an excellent choice for your entire visa process. Laurie Wu was born and raised in the USA to immigrant parents from mainland China and is conversant in three Chinese dialects – Cantonese, Hakka and Mandarin. While attending the Rutgers School of Law – Newark (New Jersey), her experiences as a law clerk for a solo immigration attorney and as a judicial intern at the Elizabeth Immigration Court (New Jersey) influenced her decision to practice immigration law. After graduating law school, she practiced at Roth Immigration Law Firm (New Jersey & New York) for four years before she started her own firm. Laurie’s practice primarily focuses on family-based immigration cases. With the personal nature of each case, she provides each client with the utmost personal attention. Clients have direct and ongoing contact with her until the completion of each case. She is responsive and reachable, typically responding the same day or following day. Take the worry, work, and pressure out of the fiancee visa process for both you and your Fiancée and put the experience and expertise of Laurie Wu to work for you today!